SBS 2011 Migration – Use the Migration Tool or Start from Scratch? Scenario: Your network consists of 25 Users and has been using SBS 2003 for a while now. Will it be feasible and worth to use the migration tool or start from scratch or new builds? How many hours will it take to complete this project? Are you concerned about interruptions and downtime? In today’s technology more IT Pros are leaning towards what’s the best strategy to use which would work well in their network when doing a complex migration. Be aware of the pros and cons and weigh up the consequences. If you’re a Network Administrator of the company, chances are you have noted all the configurations made in your SBS 2003 and it’s just a matter of preparing the big migration. Brainstorm your questions and freely document what you can and take your time. If you tend to be impulsive or procrastinate, try to make a well planned project. Before doing a migration multiple backups are important and a must have, make sure that you have reliable backups. If the migration goes wrong then it might cause irreversible problems. Preparation and lab practices are also important factors to be considered prior to any network migrations to ensure effective results. Running different diagnostics tools to check for errors is a must have – SBS Best Practice Analyzer, Netdiag, Microsoft Exchange Best Practice Analyzer, DCdiag and check Event Viewer for any errors. Microsoft has a few SBS resources that you may utilize and they are free of charge. Plan well, do this on a weekend or during non-business and not during normal business hours. Inform all employees in your company about the changes just in case there are issues that will come up after the project has been completed. Be up front with them to negate if there will negative outcomes. Are there any batch scripts applied on your SBS 2003? How much customization has been made and documented? If Exchange Server is involved things may go wrong and you may not succeed using a migration tool. If you decide to use the migration tool, think of all the fixes that you’ll have to do, this might be very time consuming and considering the time that you’ll spend on the new rebuild may not be this much. At the end of the day, the question will still remain on what’s best to do and viable – use the migration tool or start from scratch? Goodluck! 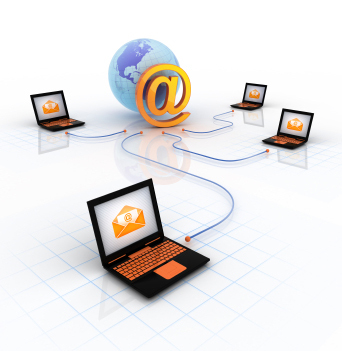 Scenario: There’s no Exchange Server residing in the network, email (POP3) is hosted by an Email Provider. This Company is also subscribed to an SMTP Relay Provider providing their relay due to Users having intermittent issue on sending external emails. In addition, they can’t send/receive email within their Local Area Network (LAN). For privacy reason let’s call this Company – Some Company, their Web/Email Provider will be Some Email/Web Host and their domain name is Company.net. All Ports for POP3 and SMTP are properly configured – ports opened up from their Sonicwall device. It all started a few months ago, all the Users from Some Company were having an email issue. This is a small business entity with only less than 10 employees in the office but heavily utilize the email due to the nature of their business. So, my mission is to find a new Email Provider to see if this will resolve their problem. I have thought of Google Apps, since they provide free plan for less than 10 Users and why not give it a try. Bear in mind that Google Apps is a Cloud solution but I have confirmed that POP3 standard protocol can be configured in Microsoft Outlook but it’s also limited on a lot of features. I’ve also found out that since this is a free plan that technical support won’t be provided. Hmm…I think that this is an important factor isn’t it? The mailbox limitation of 25gb per User is more than enough, it is good to know. I have decided not to use Google Apps because of the Pros and Cons that I have weighed in, so I’d like to try godaddy.com as my second option. For only $3+ per month for up to 10 Users this is reasonable enough, a total of <$40 per year with unlimited mailbox and technical support assistance. A good feature is the integration to Smart Phones (Blackberry, iPhones & Androids), so all of these are great additions. I went ahead and signed up with godaddy and all ready to setup the Users Email Accounts. Oops….I got an error while creating one Email Account that ‘the domain name is already been used ’. I have contacted godaddy’s technical support and I found out that I can’t sign up with them using this particular domain (Company.net) because it’s being used by another Provider and there’s a conflict. I didn’t really understand at first, then the Technical Support told me that this is something new in their company. She told me to sign up Company.net’s Domain Registrar which is Inexpensive Domains (also provides Web and Email hosting) for email hosting. Inexpensive Domains is affiliated with godaddy.com and because of this I can’t use godaddy so I ended up signing up with Inexpensive Domains. It was a hassle free registration and setting up the Email Accounts are straight forward procedure. To transfer or move the email account from Some Email/Web Host to Inexpensive Domains, I will need the MX Records of godaddy added to Some Email/Web Host Servers. The propagation might take up to 48 hours and this is the standard waiting time. I have encountered a very long wait before (with previous projects) and there’s nothing that I can do about it. The MX Records can be obtained once you are logged on to the Control Panel of godaddy. Once I have noted the MX Records, I sent an email to Some Email/Web Host informing them to add the Inexpensive Domains MX Record to point to the new Email service provider Inexpensive Domains. There seems to be almost no downtime because the Users from Some Company don’t check their emails first thing in the morning. I have contacted all the Users and was able to setup their new email accounts remotely so quickly and without any issues at all. One thing that I like with their new Email Provider – the plan for up to 10 Users per year is only $30 a year with unlimited mailbox and integration to smart phones, SMTP Relay is free for up to 250 relays per day per User. These are great features and all inclusive with this plan. At the end it has a positive the outcome – Some Company kept Some Email/Web Host as their Web provider and Inexpensive Domains is now their new Email Provider. I haven’t heard any complaints yet, and so far so good.